For the purpose of comparison to other food storage supplies, this Gluten-Free and vegetarian/vegan 6 month Food Supply provides one adult with 2,012 calories per day for 180 days. These food items will stay good for up to 25 years if stored at 35° to 70° F. Higher tempuratures will shorten the life of the food. Some food items have a shorter shelf life and are labeled in the food list below. 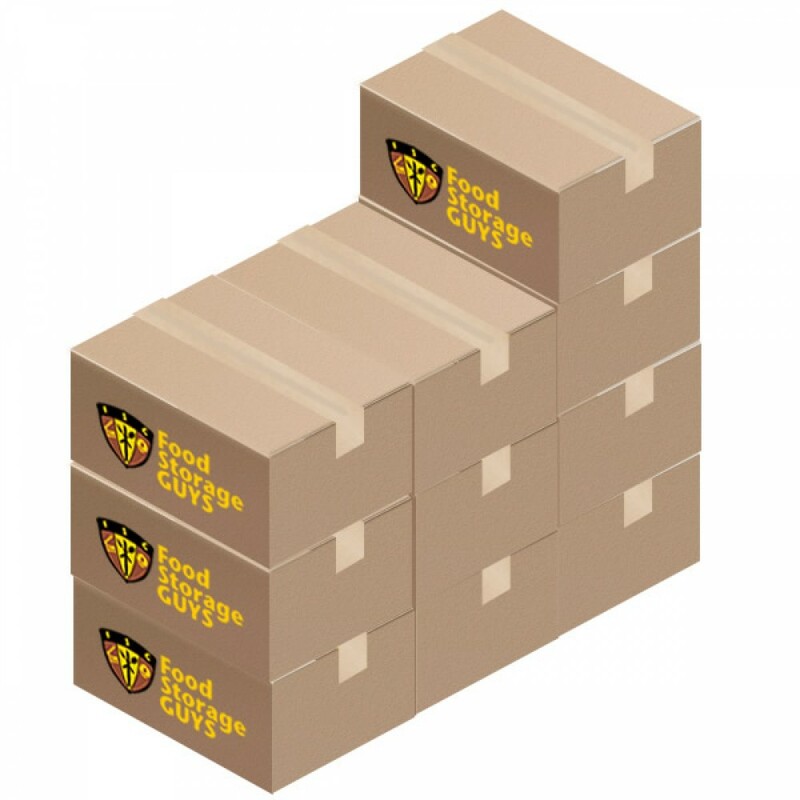 This primary food supply is for people wanting a healthy plant based food supply for emergencies or disasters. We have freeze dried meat and egg products available to suppliment this supply if you would like that. Gluten-Free Food Supply for 6 months is for those with gluten sensitivity who are looking for healthy emergency supplies. It provides the versatility of cooking your own meals by including baking and cooking staples. You should keep on hand about 1 gallon of oil and be using and replacing it to keep it fresh. Coconut oil will keep the longest without going bad. Our supply contains dried, dehydrated, and freeze dried foods under the following categories: fruits, vegetables, beans, flour mixes, seeds seasonings, and more! See the full list of products below. This supply provides 9 servings and 2,000 calories per day. It is intended to provided a healthy balanced diet with a variety of vegetables, fruits, beans, seeds, and grains. GF Artisan Flour Blend Ingredients: Brown Rice Flour, Tapioca Starch, White Rice Flour, Potato Starch, Sweet Rice Flour, Sorghum Flour, Arrowroot Starch, Guar Gum.